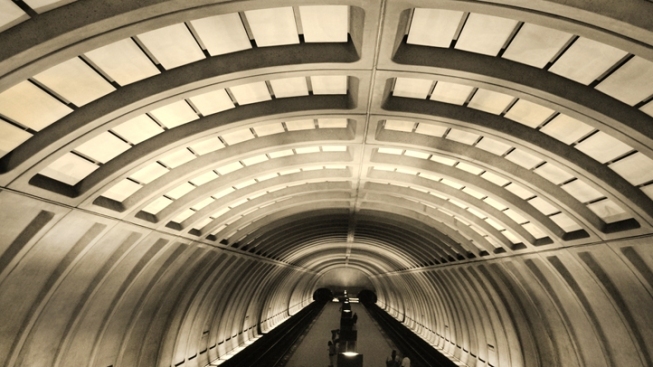 Weekend travel may be a little complicated for Metro riders. Weekend work will be conducted on the Red, Orange and Blue lines. On the Red Line, trains will run every 20 minutes between Glenmont and Shady Grove. There will be additional trains every 10 minutes between 9 a.m. and 9 p.m. in two segments: between Shady Grove and Farragut North, and between Glenmont and Judiciary Square. Metro is advising any riders who need to transfer between the Red and the Orange or Blue lines to use its Farragut Crossing service -- anyone with a SmartTrip card can transfer for free by walking between Farragut North and Farragut West. Metro is also suggesting that anyone transferring between the Red and the Green or Yellow lines should do so at Fort Totten rather than Gallery Place. Verizon Center patrons should consider using the Judiciary Square stop instead of Gallery Place. On the Orange Line, the Deanwood and Minnesota Avenue stations will be closed. Shuttle buses will be provided between Stadium-Armory and Cheverly. Anyone using the buses should expect to add 15-20 minutes to their normal travel time, Metro said. In addition, trains will run every 15 minutes (as opposed to the normal 12-minute service) in two segments: between Vienna and Stadium-Armory and between New Carrolton and Cheverly. There are no stations closed on the Blue Line, but buses will replace trains between Stadium-Armory and Benning Road. Make sure you add 15 minutes to your travel time. The Blue Line will also experience 15-minute wait time for trains in two segments: between Franconia-Springfield and Stadium-Armory, and between Largo Town Center and Benning Road. The changes will be in effect from 10 p.m. Friday until closing time Sunday. There is no schedule work on the Green or Yellow lines, which will run on normal weekend schedules.